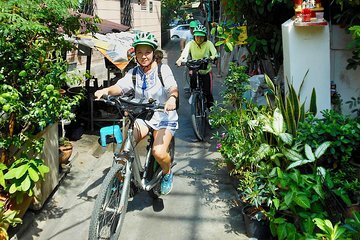 Active travelers will love cycling around the backstreets of Bangkok. Cycling allows you to cover a lot of ground in a short time, while still getting a close-up, intimate perspective of the city that you’d miss if you stayed in a car. You’ll cycle through different areas, from the Central Business District to green Lumphini Park, getting an overview of the diversity of Bangkok.